In order to meet time constraints and to ensure as prompt service as possible, we conduct consultations by appointments. Our consultation hours are 8:30am-11am and 3pm-5:30pm Mon-Fri, and 8am-12pm Sat. Should you have an emergency we will assist you promptly. Surgery occurs between 11am and 3pm weekdays. At WestVETS we perform all types of soft tissue surgery including but no limited to lump removals, wound repairs, abdominal surgery, caesarians and routine desexings. We recommend routine desexing of all animals not part of a breeding program in order to minimise associated health and behavioural problems. The ideal age for desexing is 5-6 months. We believe that all puppies and kittens should undergo a strict vaccination protocol to ensure that future health issues are avoided. Dogs are commonly vaccinated against Parvovirus, Distemper, Hepatitis, Parainfluenza and Bordetella (Kennel Cough). 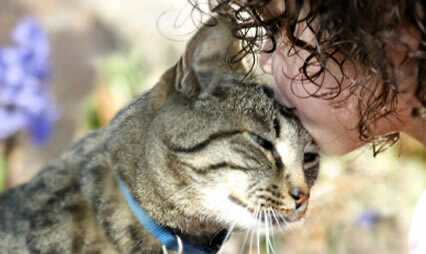 Cats are commonly vaccinated against Herpes and Calicivirus as well as Panleukopaenia. We also strongly recommend that kittens are vaccinated against Feline Immunodeficiency Virus (Cat AIDS). Adult animals should have a yearly vaccination booster. Like in human medicine, prevention is better than cure. Many common conditions can be prevented by easy means such as vaccination. Heartworm disease, tick paralysis and some flea allergies are amongst those conditions easily prevented. At WestVETS, we believe that microchipping your dog, cat and horse is a routine part of responsible pet ownership. A microchip used in pet identification is about the size of a grain of rice. It is electronically imprinted with a unique and unalterable numeric/alphanumeric code. The code is read by passing an infrared numeric scanner over the animal. This can be done if your pet arrives ‘unannounced’ at a Veterinary clinic or animal pound. Once scanned, the unique identification code is used to identify you, the owner, via a central pet registry. You can then be contacted to arrange a happy reunion with your lost pet.